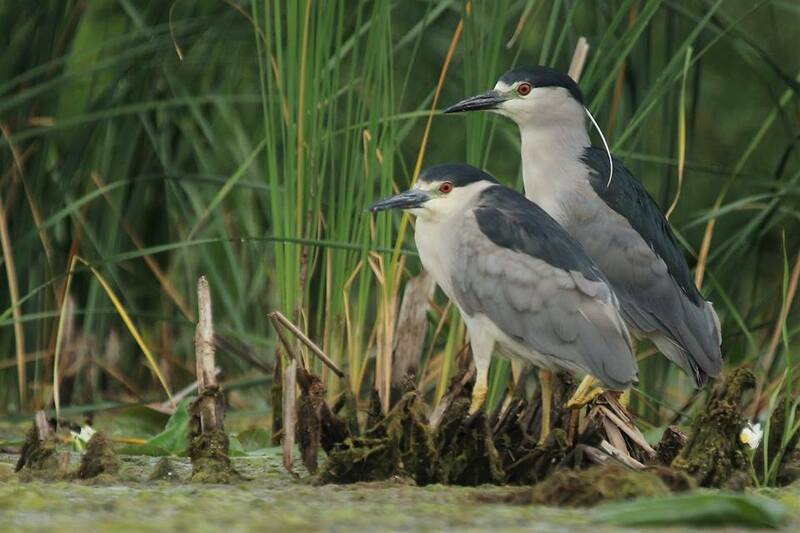 A couple of cooperative Black Crowned Night Herons today at Lake St Clair Metropark. Shot from a paddle board. Photo taken by our instructor and guide: Jeremy Miller. We know it is about halfway through July already and can barely believe it. This summer is flying by. Thank you to all of those who have joined us this year so far - we couldn't be where we are today without adventure enthusiasts like you! So far this summer we've conquered many adventures with you. Jeremy has truly enjoyed all of the bird watching Marsh Tours we did earlier in the season and is very excited to get rolling on those again as the birds are beginning to show themselves more regularly. Photo shared with us by Brandyn Holland. Thanks Brandyn! Sunset Sundays and Full Moon Paddles have been a blast. Getting to know our adventurers as we are guiding you through the marsh is the best part. We truly enjoy getting to know all of you and hope your summer is continuing to be a success. Speaking of success, those of you that have taken lessons with us this summer have been rockstars! Each person has left the class feeling confident in their paddling abilities and our instructors couldn't be more proud. We invite you to join us for a bike ride, yoga in the park, Clinton River trips, a leisurely paddle, special events, team building or whatever else you may decide to dabble in this summer and fall. What are you waiting for? Adventure awaits.